And, She said: SNOW and Chinese New Year!! What I wore in snowy day. I would like to wear color of Blue,Gray,Aqua this winter also snowy day. I'm addicted to cold color truely. 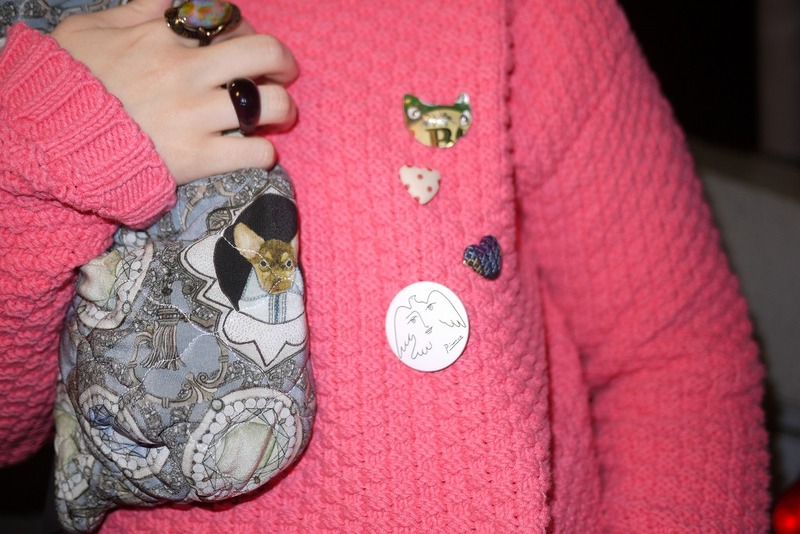 I like this combination which pink and cold. and Today is Chinese New Year!! My friend in Shanghai who said "Shanghai is in storm of firecrackers!! ".